Taking a Sunday evening muse a wee bit early. I watched a bunch of the Yankees game earlier, stopped after Tampa went up 7-2. The Giants are playing the D-backs right now. I'll be back online to catch the Cubs and the Cards this evening. There's been some writings of late about a certain Mr. President and his dissing of the National Pastime tomorrow at Nationals Stadium. 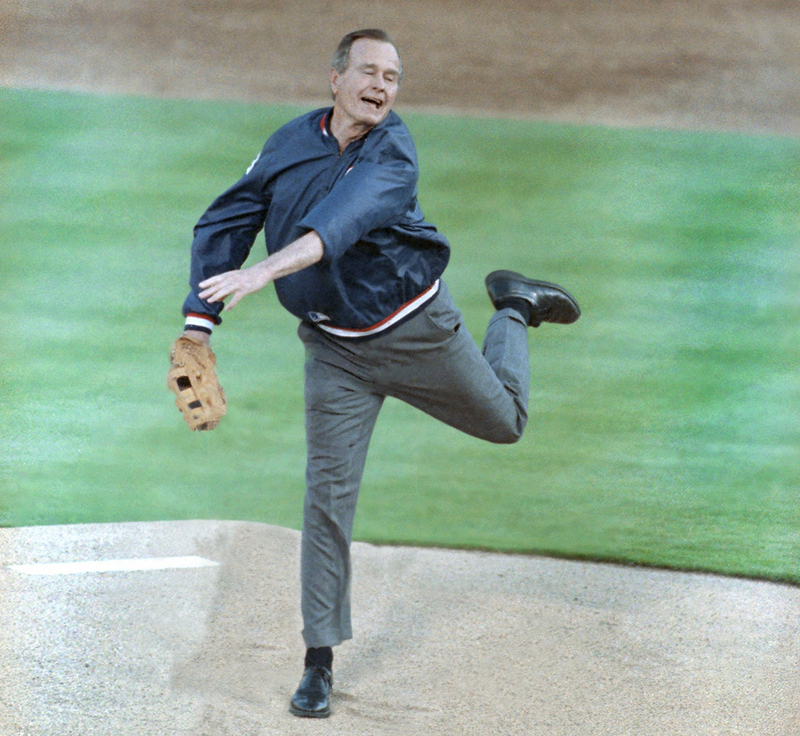 Many Presidents have taken the time to toss a ceremonial pitch. Let's compare and contrast shall we? In just two pictures, I'll demonstrate all that is wrong with Mr. Trump. We'll start below with a retired George H.W. Bush throwing out the first pitch at a Rangers game back in 1991. He was a baseball player in his youth, but he's certainly not at his most graceful here. But look at him - there is nothing less than an expression of pure joy on that old man's face. And take a look at this one. 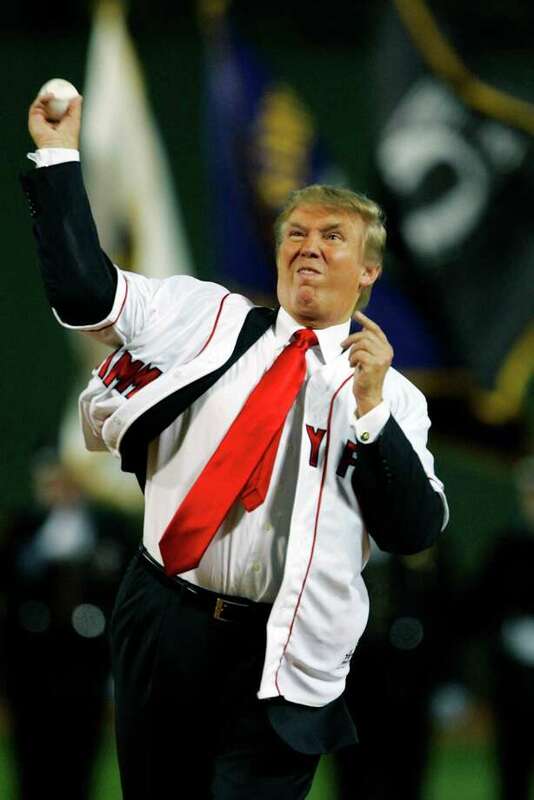 Here is Mr. Trump lobbing a meatball at an unspecified Yankees game. It almost certainly features the Red Sox; that's a "Jimmy Fund" jersey he's wearing in Boston's team colours. Does he always have that look on his face?